Well, It started with a well..
A rad friend of mine donated a water well to a village in rural Cambodia. She donated many in fact. She created awareness and inspired others, including myself, to donate what we could to improve the health and lives of many people. In Cambodia 84% of the population live in rural areas, with a shocking 68% not having access to clean water. Without access to clean water the villagers, mostly women and children, would have to walk 3km to collect dirty water from stagnant pools or contaminated streams resulting in many health probelms, diseases and death in young children. Recently I held a small fundraiser and with the help of awesome people like you, we were successful in raising enough funds to build a well! Our well was built for a community in the Kilotacheom Village, Chikreng District of Siem Reap Province, Cambodia. In fact, it's life saving. There are 130 families living in Kilotacheom Village and the total population is 689 people. A portion of these families now have access to clean water, but they're also in desperate need of a sanitation toilet. Lets build them that toilet. The villagers are in need of a two room sanitary toilet. This facility will increase sanitation, reduce health risks, increase dignity and save lives. We're going to need a bit more help with this one, so I thought we'd break it down into individual bricks. And put those bricks up for adoption. We need to raise $2000 to cover the cost of building a two room toilet. This includes the currency exchange rate through Western Union as of 12/04/2018. All funds raised will be donated directly to the Cambodian Buddhism Association for Vulnerable Children. CBAVC is a non-profit organisation founded by buddhist monks, aiming to improve the health and life of those most vulnerable through programs and projects. Some of these projects include building water wells and sanitation toilets. They are kind enough to send photos of sponsored projects in progress and the final results, so we can actually see our donations making a difference. When you adopt a brick, you get to name it. Like a pet. Don't worry, you won't have to actually look after it. (Not that looking after a brick is very hard) Your brick will remain in Cambodia and become part of a life changing sanitation toilet. Entry into the draw to win prizes! Don't feel ready to commit? That's ok, perhaps you'd like to name a brick. You'll also gain entry into the prize draw. Adopt one brick or twins, a family of bricks, or perhaps you'd like to gift a brick to a friend? Got a relative who's hard to buy for because they have everything? I'll bet they don't have an adopted brick. Every brick name will go into the lucky draw to win an Onyx H9 Clarity Smart HIFI Wireless Headset, in white and gold valued at RRP $279! We hope to get our hands on some more prizes to giveaway so stay tuned! Adopt a brick and save lives! Join us in donating a toilet in rural Cambodia, one brick at a time. Name your brick and you'll recieve an adoption kit including a photo, certificate and more..
For $5 you can name a brick without any further commitments. This perk does not include an adoption pack, but your brick's name will be published online and go into the draw to win prizes! 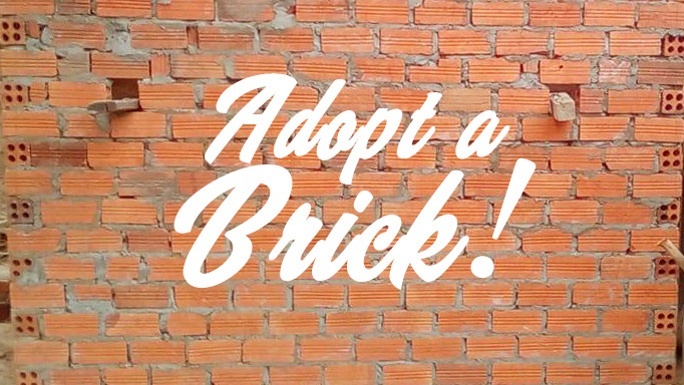 Adopt a brick and give it the opportunity to become something life changing! When you adopt a brick you get to name it. What will you name yours? All brick names will be published online and go in the draw to win prizes! You will also recieve an adoption kit in the mail including a photo of your brick, it's personal profile, adoption certificate and thank you card. All bricks are to remain in Cambodia to fullfill their dreams together as a solid wall. Your generous donation will see that dream become a reality. 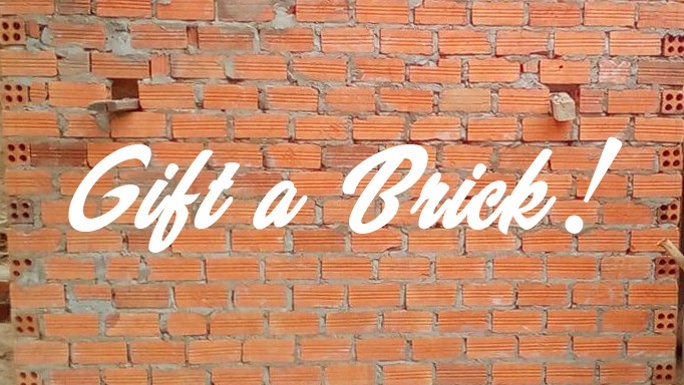 Perhaps you'd like to gift a brick to someone special? When you adopt a brick you get to name it. All brick names will be published online and go in the draw to win prizes! When you gift a brick, we send the adoption kit to the lucky person and gift wrap it for you along with a personal message. This can be arrangend anonymously as a special surprise! You will also recieve an adoption kit in the mail including a photo of your brick, it's personal profile, adoption certificate and thank you card. All bricks are to remain in Cambodia to fullfill their dreams together as a solid wall. Your generous donation will see that dream become a reality. 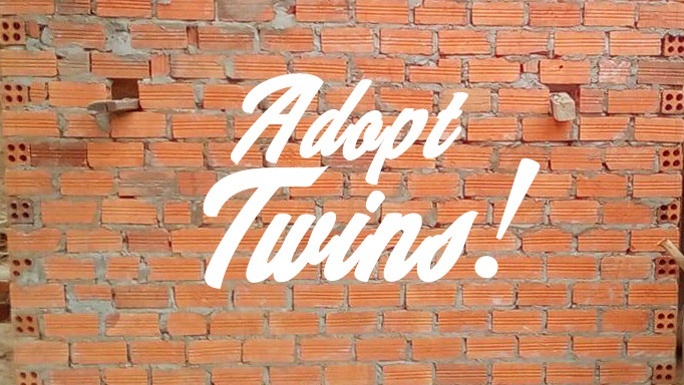 Adopt 2 bricks and give them the opportunity to become something life changing! When you adopt a brick you get to name it. What will you name yours? All brick names will be published online and go in the draw to win prizes! You will also recieve an adoption kit in the mail including a photo of your brick, it's personal profile, adoption certificate and thank you card. All bricks are to remain in Cambodia to fullfill their dreams together as a solid wall. Your generous donation will see that dream become a reality. 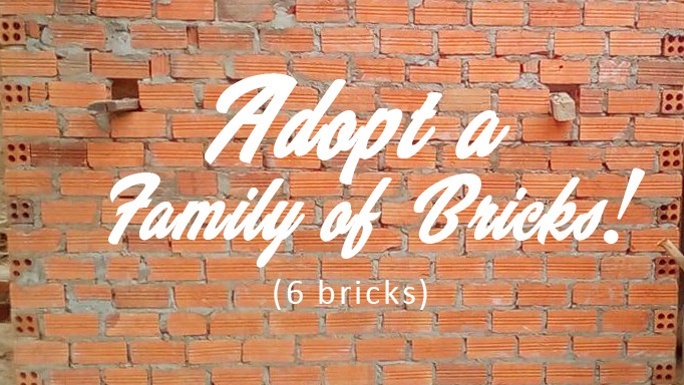 Adopt a whole brick family and give them the opportunity to become something life changing together! When you adopt a brick you get to name it. Or in this case, all 6 of them! What will you name yours? All brick names will be published online and go in the draw to win prizes! You will also recieve an adoption kit in the mail including a photo of your brick family of 6, their personal profiles, adoption certificate and thank you card. All bricks are to remain in Cambodia to fullfill their dreams together as a solid wall. Your generous donation will see that dream become a reality. Adopt a brick and give it the opportunity to become something life changing! 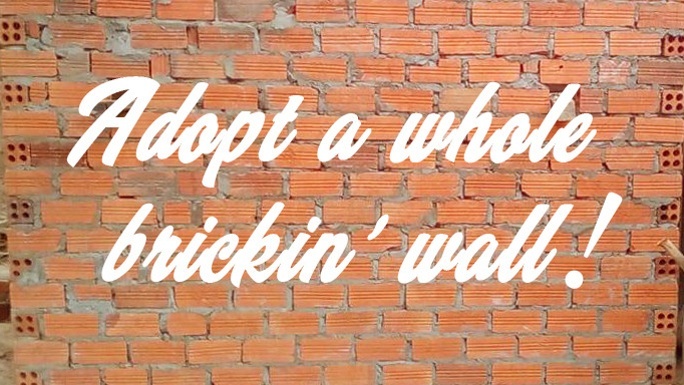 Or better yet, why not adopt a whole brickin' wall? When you adopt a brick you get to name it. When you adopt a wall you can name them all! Actually we'll make it a nice simple number of 15, or name them as one group that's up to you. All brick names will be published online and go in the draw to win prizes! 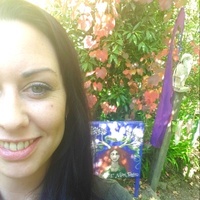 You will also recieve an adoption kit in the mail including a photo of your wall, (or section of) personal profile, adoption certificate and thank you card. All bricks are to remain in Cambodia to fullfill their dreams together as a solid wall. Your generous donation will see that dream become a reality.